Jalgaon district is divided in 1906. At that time there was only second class Sub Judge Court. After some time in 1910 it was opened that East Khandesh should be a separate district for Civil work. At that time financial grants were sanctioned for erecting court building and private bunglows for District Judge and the plans and estimate were sanctioned accordingly in the year 1914 -15. However the said work was stopped due to second world war. During this period the pendancy of Special Civil Suits was increased at Dhule. Therefore in the year 1920 in the month of June the first class court was established at Jalgaon. Thereafter in the year 1922 a big Gangcase was presented, and for that a special Additional Sessions Judge was appointed at Jalgaon. The said Sessions Court was continued till one and half year at Jalgaon. On 12th October 1925 District Court was established and innagurated at Jalgaon at auscipous of District Judge. This Court was located at inconvenient place. This problem was solved by Shri. Chatrabhuj Goverdhandas Seth, the owner of Moolji Jetha Company by way of constructing a new Court Building at the outside of City in airy place. This building was specious one but for having more facility to Sessions Judge and District Judge, improvements were made in new building and the inauguration was held by the auspicious hand of Chief Justice Sir John boment and Lady boment. 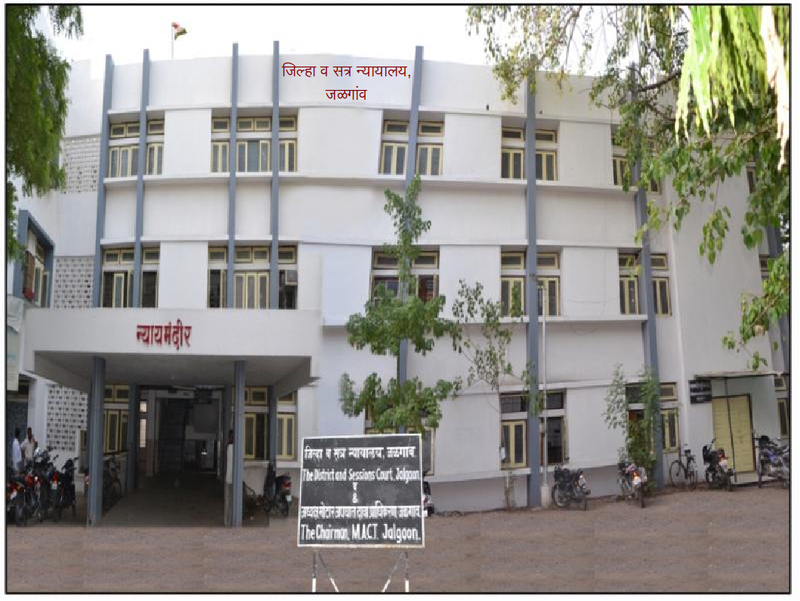 District Court was opened at Jalgaon in the year 1929 and Shri N.S. Lokur was the first District Judge.